African Wildlife Foundation's 2017 Annual Report contains key information about AWF's mission, program design, recent successes and ongoing challenges, organizational achievements, staff, and finances. To request print copies of the annual report, please e-mail us at [email protected] and be sure to include your mailing address. Reports are only available as supplies last. Learn more about the African Wildlife Foundation and its projects to conserve Africa's wildlife and wildlands. 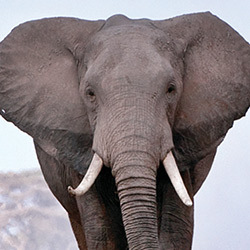 The African Widlife Foundation publishes scientific books, papers, and technical handbooks. 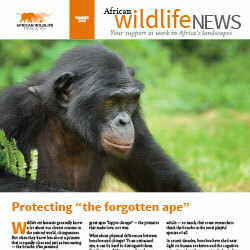 Whenever possible, AWF makes its publications available to the public. More than $1 billion needed annually to secure Africa's protected areas with lions P. Lindsey, J. Miller, L. Petracca, L. Coad, A. Dickman, K. Fitzgerald, M. Flyman, P. Funston, P. Henschel, S. Kasiki, K. Knights, A. Loveridge, D. Macdonald, R. Mandisodza-Chikerema, S. Nazerali, A. Plumptre, R. Stevens, H. Van Zyl, L. Hunter Proceedings of the National Academy of Sciences of the United States of America. 2018. What is the collective noun given to a group of #zebras?